Baptised at St Andrews on 16 Oct 1838; the sponsors were Edward & Mary Fitzgerald; in the version of the register that appears second on the film at the Library, the sponsors' names are Edward Fitzgerald & Mary Fitzpatrick. I have wondered if the sponsors at Edward's baptism were the same Edward and Mary FitzGerald who were sponsors just a year earlier at George and Marcella's wedding. Also if perhaps Fitzpatrick could have been Mary Fitzgerald's maiden name. The manuscript book that our Grandfather George W J FitzGerald was given by his mother was - as he told me - the family tree of a woman marrying into the FitzGerald family who didn't want her family's name or history to be lost. It is a history of the Fitzpatricks. From 1865 he has his own listing in Dublin directories, at first as Edward Junior and in 1867 (the year of the death of Edward Senior) the "Junior" is dropped. At first he is listed at 34 Upper Fitzwilliam Street and The Seasons, Ballymore Eustace, but from 1867 the listing is just The Seasons Ballymore Eustace and from 1869 also at Stephen's Green Club. On 4 May 1872 he is made a Justice of the Peace. He died on 6 July 1878, aged 39 at 2 Percy Place, Fulham. Cause of death was Hepatitis (2 years) and his brother William was present at and registered the death. William gives his address as 45 Stephens Green Dublin. The death certificate gives Edward's occupation as "Gentleman". Edward was buried in the vaults at Ss Michael and John's, and was subsequently moved with the others to the vaults at St Andrews. Dublin directory 1865 and 1866 lists him as Fitzgerald, George Jun esq, Wine merchant, foreign agent, 205 Brunswick-st great - res. 34 Fitzwilliam St Upr. 1867, 1868: "Fitzgerald, Geo jun., Wine merchant, foreign agent, Brunswick Chambers 179 Brunswick st great - res Elm Park, Merrion. 1869: Wine Merchant, consul for the rep. of Costa Rica, Brunswick Chambers, 179 Brunswick St Gt - res. Elm Park, Merrion. 1870: Wine merchant, agent for IND, Coope & co brewers, Consul for the rep. of Costa Rica. Married Mary Clare Caffrey on 14 Sep 1870 at St Andrews RC Westland Row. Bride's father is Nicholas Caffrey and her address was 6 Herbert Place; George's address is Merrion, and sponsors were Edward Fitzgerald and Margaret Codd. 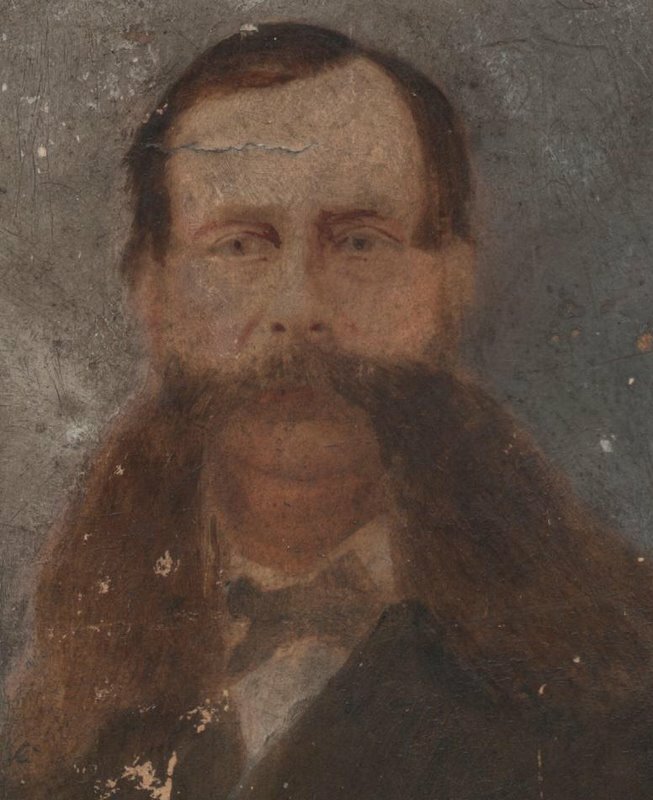 Died aged 54 at Henrietta Place of cirrhosis of the liver (6 months) on 19 October 1894, three years after his father died and two years before the death of his mother. 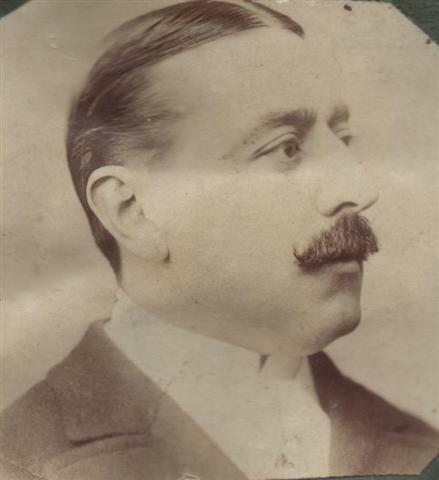 He is described as a widower, and his brother Joseph - also resident at Henrietta Place - was informant. He was the fifth of five sons to die in their mother's lifetime. Birth date estimated from age at death. 1867 Dublin Directory: William AB, Barrister, Elm Park, Merrion. 1870: Fitzgerald, William AB Barrister,Brunswick Chambers, 179 Brunswick St greater, res - Elm Park, Merrion (also his brother George's addresses). When he signs his brother Edward's death certificate in 1878 he gives his address as 45 Stephens Green Dublin. Died a bachelor on 8 June 1885, aged 42, at Henrietta Place Dalkey. Death certificate gives his profession as Barrister and cause of death as "Broncho Pneumonia (11 days)". His brother Louis was present at death and gave his residence also as Henrietta Place. He was buried in the vaults of Saints Michael and John's church in Exchange Street Lower, Dublin - remains have since been removed with all others to St Andrews Westland Row. 3rd son to die in both parents' lifetime. Baptised 5 Nov 1843 St Andrews Westland Row, sponsors Edward Fitzgerald & Mary Dillon. Married Lilly Margaret Kingsley (1847 - bet 1916 and 1929) on 13 Dec 1868 in St Andrews RC Westland Row, City of Dublin. They had no surviving children of their own but became like parents to Emmeline (Quick) Costello and Freddie Kennedy who lived with them for some time. They appear in 1901 and 1911 censuses at 5 Upper Prince Edward Street with and Kennedy nieces and nephews - including Emmeline & Freddie & their three children, and with Mary Grace Kennedy (latter 1901 only). Dublin directory listing at 15 Lower Prince Edward Terrace from 1888 till 1894 when he moves to No 5 Upper Prince Edward Terrace. He stays there until 1928 when he moves to I think Rosemount something (according to Mom) aged 85. (NB Previous householder at No. 15 is listed as Mrs Kingsley - Aunt Lily's maiden name. Perhaps they were moving in with her mother? Or her mother died?) Might the Kennedy children - Freddie and Mary Grace - already have been living there? Perhaps Lillie had had a married sister who died leaving these two with their grandmother? Arthur Costello also stayed with him in No. 15, and that is where he (Costello) died during the night before his 59th birthday in 1891. Emmeline and Freddie stay with James until their respective deaths (her 1914 and him between 1911 and 1914), and the children continue to live with him into adulthood. He is still alive when May Kennedy marries George William Joseph FitzGerald?. Our mother has vivid childhood memories of visiting him in both his last two homes. Baptised 13 Feb 1848 at St Andrews RC Westland Row, sponsors look like Tirny or Mary O'Brien and Cath[erine?] Madden. Dies a bachelor age 35 at Henrietta Terrace, occupation Gentleman; cause of death "Softening of the Brain, General Paralysis (4 1/2 years). His brother Louis was present at and registered the death. 2nd of 3 brothers to die while both parents are still alive - Edward first, five years ago, and William in two years time. Two more - Charles and George - are to die while Marcella is widowed. Baptised at St Andrews Westland Row in 1849 according to the online transcript of the parish register on an unreadable date. Sponsors George FitzGerald and Cathe Mary Lombard, parents George William FitzGerald and Marcella. Was present at the death of three of his brothers, and his father. Born about 1851 calculated from 1911 census at which she appears in Moone with her daughter. 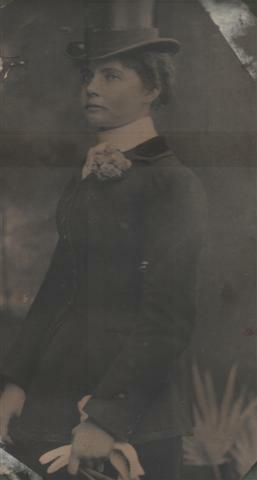 Mary Marcella born about 1881. 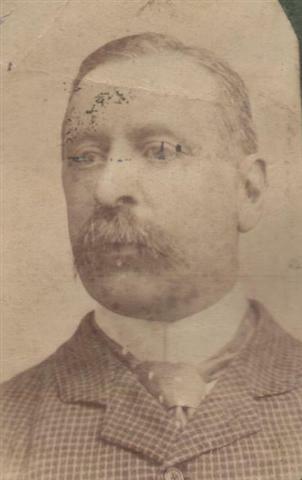 John William Vincent had a daughter called Patricia who married Colonel Browne (photo in Granny's srapbook). Granddad George William Joseph remembered her very well from the time he spent in Ireland in his youth, and there are family photographs of a visit to Moone Abbey in about 1916. Baptised St Andrews Westland Row on an unreadable date in 1852 according to online transcript of parish register [IrishGenealogy website] parents George William FitzGerald and Marcella, sponsors Richard Tuohill and Eliza Hynes. He died a bachelor aged 39 on 16 March 1892 at 4 Henrietta Terrace. Occupation given as Gentleman, and cause of death Chronic Brights disease (2 years) Uromia (1 month). His brother Louis was present at and registered the death. Louis' address given as 4 Henrietta Place also. Remains have since been removed to St Andrews along with everyone else. He was the 5th and last son to die in his mother's lifetime. We also have a photo of him, but he's in fancy dress and it doesn't seem right to be immortalised in a fancy dress contume. As an ancestor he gets his own page - click on his name to find it. Baptised 27 December 1855 in St Andrew's Westland Row, sponsor Mary Marcella FitzGerald. Was present at his brother George's death in 1894, and was informant for death certificate - gave his own address as Henrietta Place. No clues as to when he died except it was after 1894 (brother George's death). Baptised 17 Jan 1858 at St Andrews RC Westland Row, sponsors James Basil Fitzgerald and Mary O'Brien.